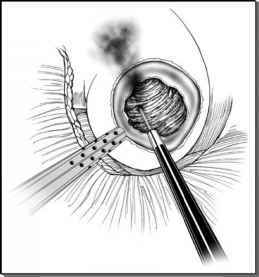 There are few absolute contraindications for laparoscopic adrenalectomy. General contraindications for surgery such as severe cardiopulmonary disease and uncontrolled coagulopathy also apply to laparoscopic adrenalectomy. Specifically, pheochromocytomas should be medically controlled with alpha- and beta-adrenergic blockade prior to surgery to avoid intraoperative hypertensive crises. As discussed above, invasive carcinoma and carcinoma with tumor thrombus are considered to be contraindications at present.